Linux is an operating system, similar to Windows or Mac OSX. Although, technically it’s an operating system kernel – more akin to Darwin for OSX or NT for Windows. The entire operating system is named GNU/Linux, and there are many different kernels or versions. Linux is popular for its open-source nature, which means that just about anyone can take the code and modify or alter it as they see fit. In fact, a great deal of the internal and software components were developed by the Free Software Foundation. The original kernel that serves as the basis for the operating system was created by Linus Torvalds – the main developer and founder of Linux. Since each “distribution” of Linux is usually bundled with the GNU toolchain, most people simply refer to the entire OS as “Linux,” plus it’s easier to reference this way. Each version or kernel of the Linux operating system is called a “distribution”. This term is derived from the fact that Linux is distributed, packaged, and maintained in bundles – each of which usually includes its own software. Ubuntu is an excellent example of a specific Linux “distro” or “distribution” that refers to this specific bundle. Note that not all distros include ‘Linux’ in the name, and may be called something else entirely. Other examples of this include OpenSuse, Debian, and Calculate Linux. What’s In a Linux Distribution? Despite how we’ve described Linux or a distro, it’s not exactly a bundle of pieces or software. There are exact components needed to run the operating system. Required are the server, thin client, gaming rig, desktop, cloud installation, and last – but not least – the workstation. To get Linux running, you must install all of these components correctly and then configure them. This is done through an installation script of some kind, using a package management system to install software and resolve conflicts, and finally discern ways to maintain that distribution. So, in this way, each distribution ends up different and may server a certain purpose. For instance, there might be a distribution geared towards a more modern UI and software set – like Ubuntu. Another might be geared toward Linux beginners, making the installation and usage processes easier. Here are 9 of Code Conquest’s top Linux training recommendations. There’s something from every category – free and premium, online and offline, basic and extensive, hands-on and theoretical. Guaranteed, one is the perfect training for you. With Linux, every user is a developer. Why? Because of the way the operating system works and what you must do to install components and get things running. This course will not only introduce you to the development world of Linux, but it will also instill a strong background so you can move forward with the system. This is important, because once you understand Linux and know how to use the system, you will be free to do as you wish. The possibilities are truly endless, unless of course, you don’t have the knowledge or skill set required to advance – and this course can help you gain that. Jason Cannon is the founder of Linux Training Academy, one of the more renowned training schools for the platform. He also has a significant background as a Linux System Engineer, and has been working with the system since the late 90s. So, what better way to learn the platform from beginning to end – well, more like beginner stages to expert – than through someone with such experience? How to get access to a Linux server? What basic Linux commands are used most often? How do permissions work, and how do you decipher them with ease? What are pipes, why are they useful and how can you utilize them? How do you customize a shell prompt? By the time you’re finished with this book, you’ll have an expansive understanding of the platform which will allow you to move on to more advance lessons, or simply to working with it directly. Go beyond just using the Linux platform and learn how to develop and work with the command line, the most powerful component of the system. Only then can you truly begin working with Bash, one of the most popular Linux shells. As the author so diligently exclaims, “don’t be surprised if your mouse starts to gather dust,” because you’ll get so good with the Linux command line. 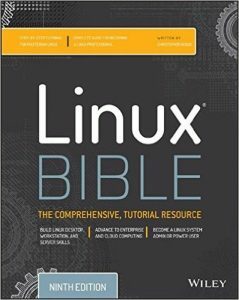 Few books are as thorough and comprehensive as the Linux Bible, after all it is called the “Bible” so it better be good. The 9th Edition has been updated to include information for Red Hat Enterprise Linux 7 and cloud systems. It also includes information for Fedora 21 and Ubuntu 14.04 LTS, in addition to cloud computing details on Openstack and Cloudforms. If all of this seems foreign to you, don’t worry. The book will explain everything in more detail and will also teach you how to utilize Linux for enterprise-based applications. 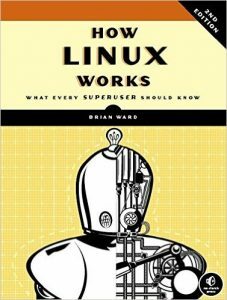 In addition, the book assumes you have little to no knowledge about Linux and will walk you through everything step-by-step. Ultimately, this means it will also explain how to get a particular distribution up and running. If you choose only one resource from this list, let the Linux Bible be it. One of the best things about Linux, is that it does not hide anything from you nor try to retain control. If you have the skills and knowledge, you also have complete control over your computer and the system. However, this unfettered access to the core components and internals also means you could do a great deal of damage. This book will explain in layman’s terms how everything works and will make sure you know the proper way to work with the system. More importantly, the concepts of Linux and its internals will become more accessible to you once you complete this training. 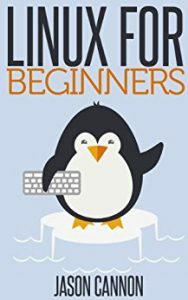 If you are more interested in the practical side of Linux and how the system can be used or applied in your life, this is a great place to start. 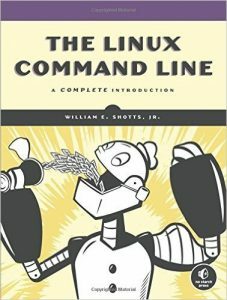 One of the most important things you will need to know to work with Linux – or any operating system really – is how to work with the command line and console. For beginners and novices this can be a scary concept, but once you actually sit down in front of the console that feeling can ramp up tremendously. But the command line and shell are the core of any platform. Once you know how to work with them, you can perform remarkably powerful tasks quickly and easily. That’s exactly why it should be one of the first things you learn as a beginner to Linux. But don’t make the mistake of thinking this course – and its contents – are simply for beginners. Anyone can learn the information and make use of it to develop with the platform. Keep in mind, everything you do with this course involves the command line. You may recognize Jason Cannon by name, because one of his books have also been included on this list. He is the author of Linux for Beginners, and he is also the founder of the Linux Training Academy. This course is exceptional if you wish to learn Linux, and relatively fast. Over the course of 45 minutes per day, for five days total, you will learn everything you need to know about the Linux platform. A lot of the concepts discussed and explored are similar to those found in Jason’s book. However, most of this information is presented in a more visual representation which is great if you’re not the type of person who learns from simply reading a book. There are a total of 80 lectures which take 12.5 hours to complete. As a bonus, you will also get access to a course that teaches you how to install WordPress on a Linux system. It’s a completely additional course. Also, keep in mind, Udemy offers a 30-day money back guarantee for any courses you aren’t satisfied with. Linux is one of the fastest growing operating systems in the world, and Ubuntu happens to be one of the most popular distros or distributions of it. It’s a great system and platform for anyone working in IT or Information Technology. More importantly, a lot of servers and cloud systems run on the Linux platform. If you are interested in a career in IT then it behooves you to learn Linux from top to bottom. Over a total of 21 lectures and 39 minutes of information, you will learn the Ubuntu Linux Desktop. Developing applications and software for – and within – the Linux environment is wholly different from any other system. It’s more than just working with the command line, you’ll need to understand the tools and environment to get started and advance. This course will teach you over five days how to develop applications and software, from the ground up. It assumes you have no prior working knowledge of development, but it does assume you are familiar with Linux in general. So, before you start here, jump to a beginner course and then come back. When you do come back, however, you will learn a great deal about Linux and its associated content. Most importantly, you will get hands-on experience with the platform, something you won’t receive from a variety of other resources.